Even 1912 the company had to expand because of the rising demand and became known as the Koenitz Porcelain Factory Gebrüder Metzel. During the following decades the company won many new and international markets because of a changed company concept. After the Second World War KOENITZ was one of the best leading medium-sized companies. 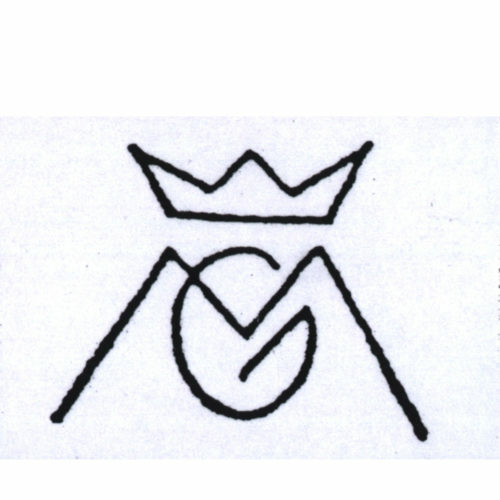 1948 the company was taken over by the Soviet A.G. 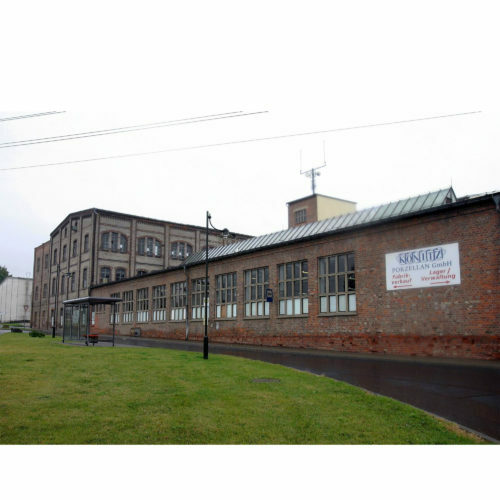 Ceramic Factory Hermsdorf to produces only technical porcelain. In 1951, because of the discontinuation of reparation payments KOENITZ became public property but was still a part of the Ceramic Factory Hermsdorf. Since 1954 the factory produces again household porcelain in its own direction. 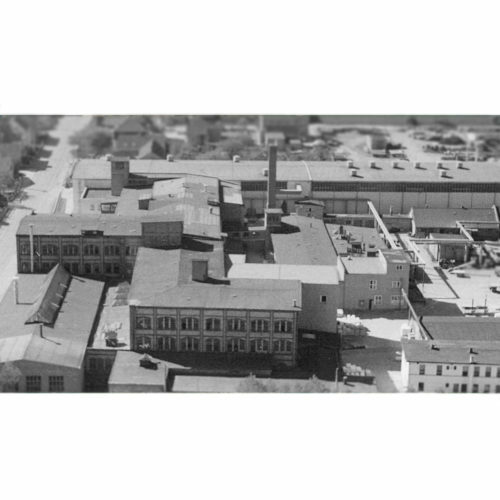 The KOENITZ Porcelain factory and the porcelain factory of Kahla fused together to "United Porcelain Factories Koenitz-Kahla", in 1962. During this time there was a common back stamp. At the beginning of the 1970th the name KOENITZ disappeared for the back stamp because even more porcelain factories joined together to combine Kahla. For example: Volksted, Uhlstädt or Garsitz near Königsee. Between 1984 and 1985 investments made sure that the most modern assembly line of mugs came into being in Koenitz. This assembly line goes into use in December 1985. 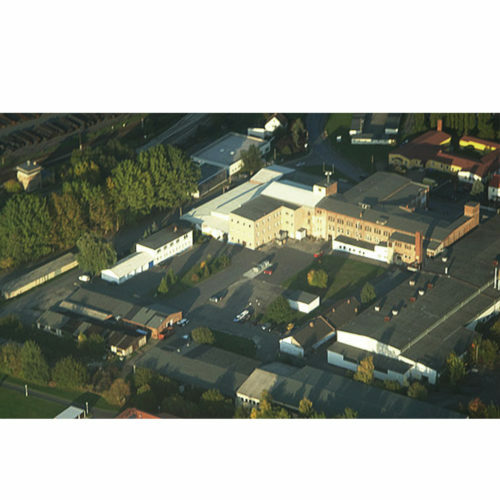 KOENITZ was one of the few porcelain factories besides Kahla which continued after the turn 1989. 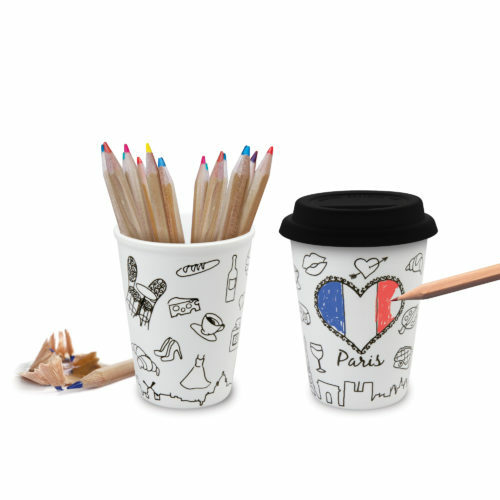 Under the Trust Management, the company created its own range of products, such as coffee mugs, children's sets, seasonal items for Easter and Christmas as well as customized items. Könitz quickly re-established itself on international markets and exported goods to Holland, Israel, Italy, Norway, Austria and the U.S.
On December, 21st 1993 Turpin Rosenthal (operating in the sixth generation in the porcelain business) bough KOENITZ from the state trust. Because of developments, own collections and specialized custom designs for advertisers the Mug Maker came into being. 2000 KOENITZ participated in the "Wiedemannsche Druckrei". The Thai subsidiary Koenitz Asia Ltd was founded in 2001 and serves now the whole Asian, American and Canadian areas with rising interests. 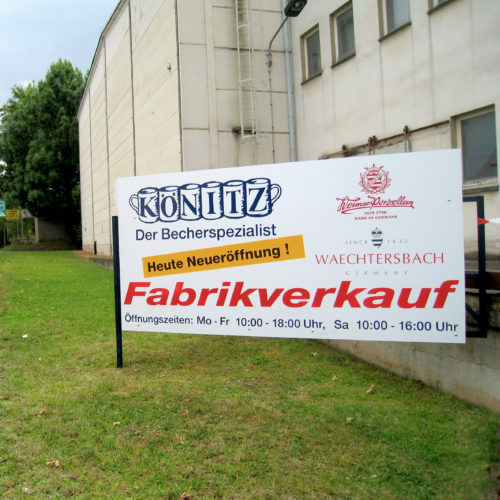 2006 KOENITZ fused together with "Waechtersbacher Keramik GmbH" and "Weimar Porzellan". Because of extensive investments KOENITZ bought a new decorating kiln in 2008 and further expanded its position in the international market. 100 years - 2009 KOENITZ celebrate 100 years of existence. In the course of this the outlet in Koenitz was restructured and renovated. In September 2009 was the reopening of the outlet. Now you can find there over 700 different designs on porcelain mugs and cups of our branded assortment as well as colourful ceramic products by Waechtersbach as a gift or just for the laid table. 2018 KOENITZ get the "Promotional Grift Award" for our "Selfmade Mug" - a porcelain mug with a new printing surface you can paint on with pencils. But don't worry - your little artwork can be washed off. "It's an absolutely innovative product for the custom design", the jury means. This mug represents new developments with which one KOENITZ will be more poplular in retail and custom design. Even 2009 KOENITZ present the lasting "To Go mug" made of porcelain. Also licensed motifs from "Guess how much I love you" (launch 2007) over "The little Prince" (launch 2011) to "Asterix&Obelix" (launch 2015) enrich the mug portfolio and became to bestsellers. One of the best sold new hit of 2017 was the "Coffee for One" because of the actual trend to filter your coffee by hand for a better taste and to protect the environment.